As a database administrator you will need a “Swiss Knife” tool for your databases. A tool that has all the features you need to manage your databases. Navicat Premium, is one of the best database GUI tool available on the market. It’s available for Windows, Mac and also Linux. The new Navicat Premium 12.0 comes with a redesigned UI, more stable and very easy to use. It supports many database servers including MySQL, PostgreSQL, Oracle, MS SQL Server, MongoDB and many more. The following review is based on the Mac edition. 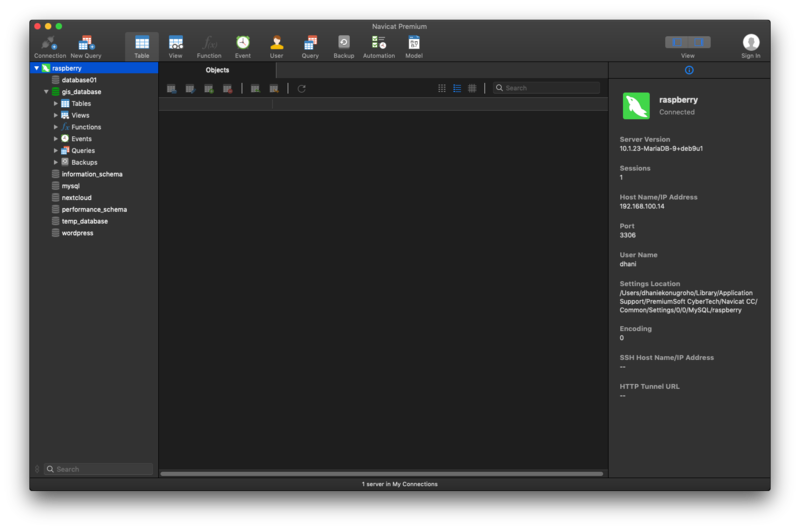 The latest Navicat Premium 12.0 works very well on Mac OS X Mojave. Imagine if you manage multiple schemas in multiple database platforms. In case of data migration from one server to another server, Navicat Premium will simplify the whole processes but you still have a full control of it. With Navicat Premium, it is possible to migrate your database from one database platform let’s say MySQL to another platform such as PostgreSQL. It is a great feature that minimise our workflow and save our time a lot. Another great feature that I use the most is the Data Synchronization. 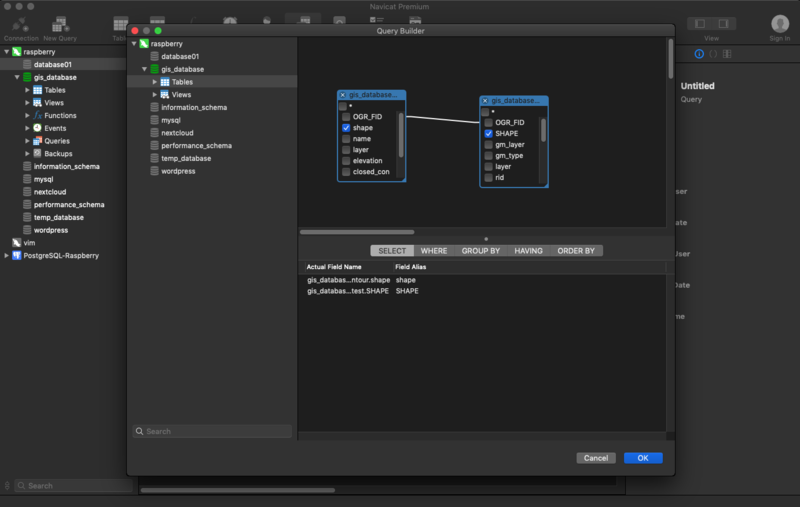 With this tool, we can sync two databases so it will have the same structure and contents. The Data Synchronization feature only supports two databases with the same platform. For example. you can sync MySQL database from one server to another MySQL server. This synchronisation tool is very useful when we have two databases and you want to have the exact copy of the first database in almost real time. Creating query made easier with the Query Builder. You can create a complex query inside the Navicat with a few simple clicks. We do believe that backup is one of the most important thing we should put in the first place. 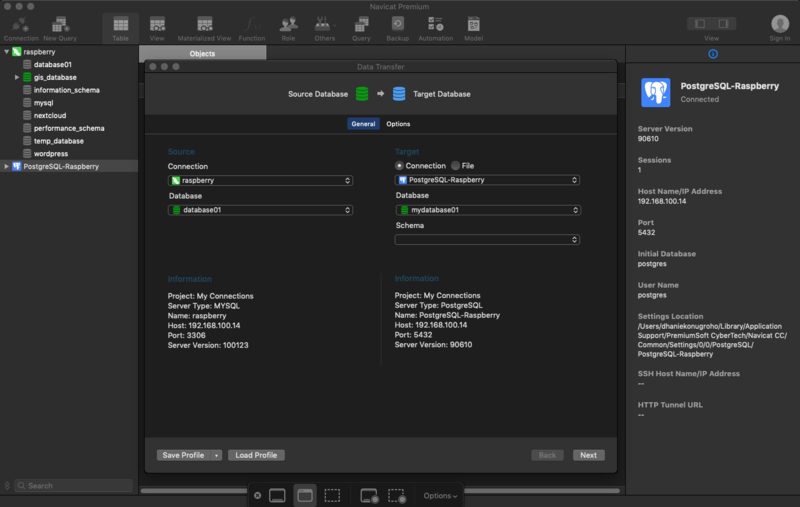 Navicat Premium includes a built-in backup system. 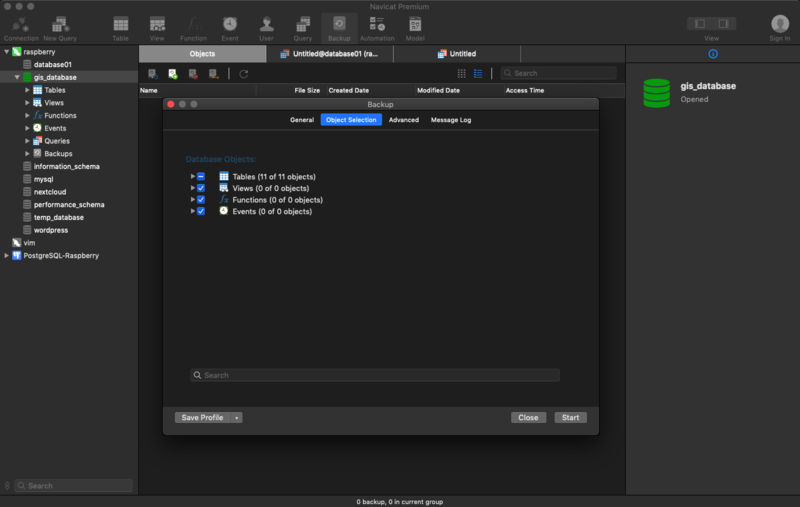 With this tool, you can easily create a scheduled backup of your databases. In addition to above features, you can automate many tasks. Use the automation process to create batch processing. There are still a lot of things to explore with this software. If you are interested, you can download the free trial version from this link. The Navicat Premium full version cost about $499. 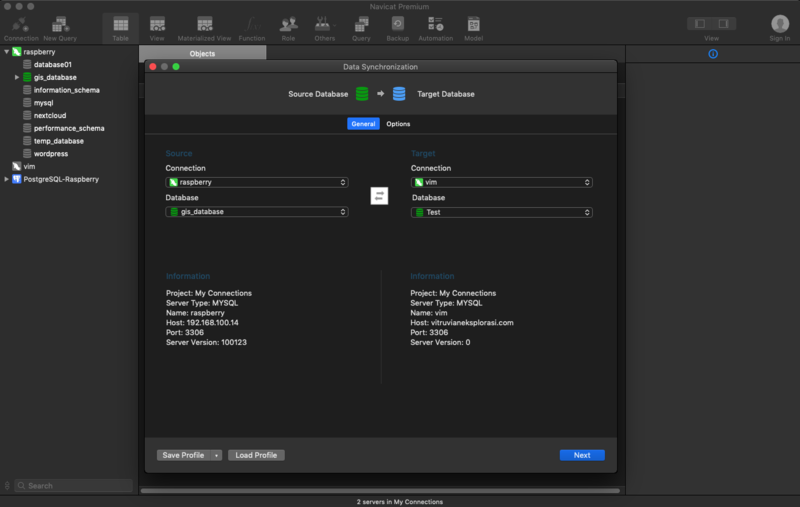 It’s a pretty expensive but if you need the best database tool for Mac, Navicat Premium full version is the answer.